Long-term care insurance and Reverse Mortgages can assist in paying for Caregiver Services to be provided in the comfort and familiarity of your own home. If you or your loved one has long-term care insurance, it may cover our services AT HOME WITH YOU. Long-term care insurance is a type of insurance developed specifically to cover the costs of long-term care services, most of which are not covered by traditional health insurance or Medicare. Long-term care policies focus on paying for the types of services and providers that someone needs when they cannot perform their Activities of Daily Living (bathing, dressing, meal preparation, etc.) on their own due to physical or cognitive Impairments. These include Caregiver services that can be provided to you in your home. What costs might Long-Term Care Insurance cover? 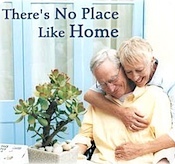 • Personal Caregiver assistance provided in your home or for you in an assisted living facility. This includes help with personal care, such as bathing and dressing. Many policies also cover some homemaker services, such as meal preparation or housekeeping, in conjunction with the personal care services you receive. • Care or services provided by family member unless the family member is a regular employee of an organization that is providing care; and the organization they work for receives the payment for the treatment, service or care; and the family members receives no compensation other than their normal employee compensation. • Most policies require that the facility, agency or individual providing your care meet certain minimum standards with respect to quality, safety, and training. For example, in Illinois all home service agencies are required to be licensed to ensure that you receive appropriate and safe care. Therefore, benefits would only be paid to a licensed agency. AT HOME WITH YOU is a licensed home service agency. AT HOME WITH YOU will be happy to assist you in submitting claims for your reimbursement. What about utilizing a Reverse Mortgage to pay for Caregiver Assistance at home? A reverse mortgage is a special type of home equity loan. You receive cash against the value of your home without selling it. You choose whether you want to receive a lump-sum payment, a monthly payment, or a line of credit. There are no restrictions on how you use reverse mortgage funds. These funds can be utilized used to pay for long-term Caregiver assistance. Consult with an elder care attorney to determine if this is right for you.